Vince 'Maxi' Magro born in Valletta on July 24, 1952. At an early age of 17 he was called to jin the senior squad and made his debut on February 17, 1970. Vince played 163 matches in 14 season and scored 43 goals. He played in thirteen European Competitions, six in the Champions Cup and three in the UEFA Cup. Vince alsp played for the National Team in the UEFA Amateur Championship 1973. He made his debut with the National Team on September 28, 1973, vs Canada 2-0. He scored two goals, the most famous goal against Greece (2-0) on February 23, 1975. During his first year with Citizens, Valletta FC won the Championship without no defeats. 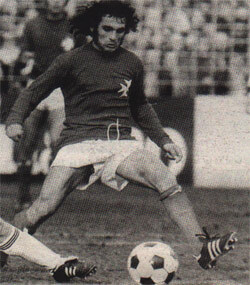 'Maxi' Magro made his debut with Valletta FC on February 1970 in the match against Sliema Wanderes (0-1). 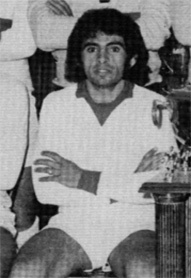 Vince remained with Valletta untill 1983-84. He joined Luxol St. Andrew's in Third Division, he stayed there for three years untill he retired from Football.